Many companies take a haphazard approach to seeking, hiring and retaining great employees. When new talent is needed, they simply cross their fingers and hope for the best. A talent strategy can be defined as a planned, methodic approach to attract, acquire, develop and retain employees with the overall goal to achieve company objectives. The following guidelines can assist you in developing your company’s talent strategy. Create Candidate Pipelines. 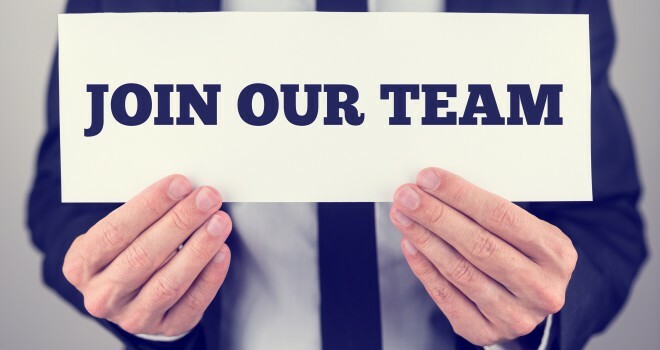 One of the best ways for recruitment is to have your information regarding potential positions available online 24/7 for both active and passive job seekers to access using the company’s career page. Jobseekers can also obtain other valuable information about your company regarding company culture, mission and values. So if you don’t have a website, then you may want to invest in one. A better way to reach a diversified and broader group of potential employees is through posting on job boards. Employers can expose their openings to niche groups or general distribution groups for the type of candidate being sought. Another channel becoming increasingly popular for job distribution today is social media (such as linked-in, etc.). And don’t forget about one of the more obvious recruitment channels that also has greater retention and quality of candidates – employee referrals. Consider offering bonuses for successful employee referrals, and watch your number of potential candidates soar. Design a Systematic Recruitment Process. Using various types of channels to obtain applicants is just the first step. Your company will need a systematic recruitment process to attract and screen top talent. A systematic recruitment process begins with accurate and thorough job descriptions that include detailed information on all aspects of the job. It is also important to have prescreening questions in place to quickly identify talent that will fit your company goals and objectives. Also, having processes in place to do background checks, extend offers and conduct orientations is a part of the recruitment process. There are several online services that can assist with these tasks. Have Key Performance Indicators Identified. Key performance indicators are measureable outcomes tied to specific job tasks. They should support your company’s objectives and also measure your employees’ performance. For example, on a construction project, a project manager’s key performance indicators would include bringing the project in on time and remaining within budget – measureable outcomes tied to specific objectives and goals. Have a Competitive Compensation Plan in Place. A performance and reward system is obviously an important way to retain your company’s top performers. A balanced compensation plan that provides incentives for performance can improve recruitment and retention efforts and help position the company to achieve its business goals. However, do not underestimate the importance of a company’s culture, values and goals in retaining individuals. Monitor Turnover/Retention Closely. Monitoring staff turnover is very important to business success. High turnover leads to low morale and difficulty in maintaining customer and client relationships and, therefore, negatively impacting profitability. Adversely, staff retention increases profitability and relationships due to a higher percentage of long term employees. Business owners must consider incorporating the above components into their strategies, realizing that strategies will be dynamic and ever-evolving. It will be necessary to continually review and develop your talent strategy along with your processes, procedures and overall company goals, if you expect to attract and retain top talent for your business in today’s market. Traver Hill is the Vice President of Operations for Triune. Founded in 1997 with headquarters in Dallas, Triune is a leading, integrated, design-build General Contractor in the Southwest region of the country. Traver is a multi-faceted career professional with over 20 years of experience in Human Resources and Operations. 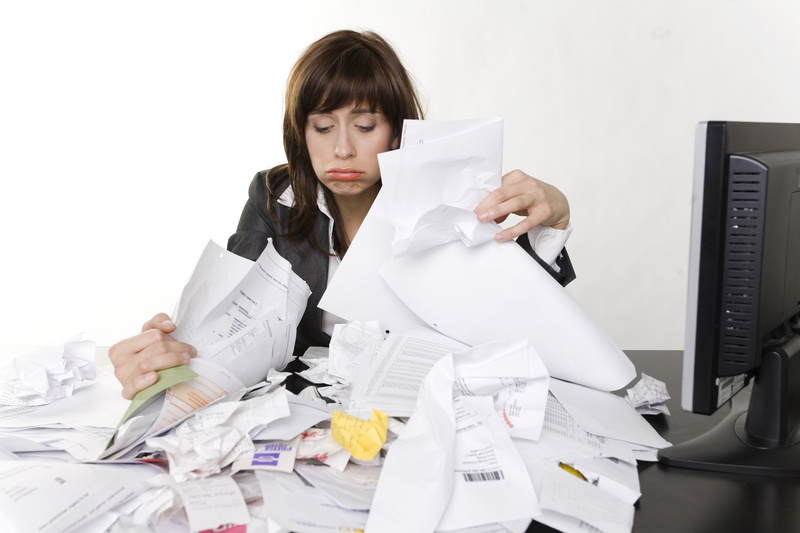 From invoices to receipts to flyers and catalogs, it seems like the stream of documents entering our lives is endless. In the age of online storage, small businesses wrestle with digital clutter as well as paper. For busy entrepreneurs, separating important items from ones that go immediately to the recycling bin–and keeping from getting swept away by a tidal wave of clutter–can seem like a full time job. With all the other demands on your time, clearing out the clutter can be the last thing on your list. Getting organized and streamlined can also save you money on rent, too. Our company was looking for storage space outside our office because of all the room we needed to store project files. After digitizing our records, we ended up freeing up an entire room that was filled with boxes with no need to get extra storage space. 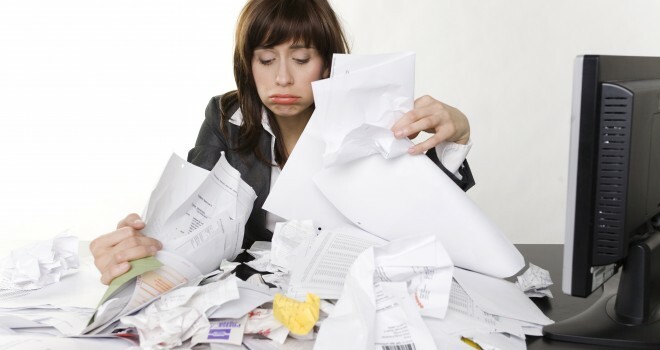 Here are some tips to help you clear clutter and keep your small business organized. Digitize your paper documents. To think paperless and minimal can be scary, but you must get acquainted with the idea in this day and age. Most printers nowadays work as scanners, so this can be done easily; however, if you do not have one with this capability, you can purchase a desktop portable scanner at a very inexpensive price. A variety of desktop scanners help you transform your paper documents into high quality digital images that can be easily stored and accessed electronically. In addition, you can bundle it up with a software that provides added functionality such as scanning multi-page documents of different sizes to a specific file format, printer or application. Some scanners also offer the ability to scan directly to a USB drive or smartphone/tablet. Organize your digital data. Not only can going paperless save time and resources, but in order to reap its full benefits, you will need to create a system for organizing your digital data. Simply saving to your computer’s desktop is not ideal because it can then be difficult to find specific items quickly as your desktop will become cluttered with more and more icons. Electronic files should be categorized and filed in appropriately labeled folders for maximum efficiency. USB Flash Drive. While USB flash drives can be small in size, they typically contain from 8GB to 64GB of storage space, making them a highly portable option for storing photos, documents and other files. External Hard Drives. External hard drives are typically about the size of a small book and can offer up to 1TB (1 terabyte = 1,000 gigabytes) or more of storage space. This makes them perfect for storing and transporting large files and image collections, HD videos and more. In addition, many include software that will allow you to back up your data automatically. Network Storage. Network storage provides a central location where computers on a local area network can store, access and share data. Networks are most common in business settings. Cloud Storage. Cloud storage services offer an even more robust option for data storage and retrieval. Data that is located “in the cloud” is stored on a network of public servers accessible via the Internet. Services are available from a host of providers–typically for a monthly fee–and usually include the ability to back up data from all your devices automatically. Personal Cloud Storage. For a powerful storage solution without monthly charges, Western Digital’s My Book Live enables you to build your own cloud storage on a personal network as opposed to a public server. This device will connect to your wireless router to provide shared personal cloud storage and wireless backup for all the computers on the network. In addition, you can access your files remotely via the internet or a specialized mobile app. As you can see, filing and storing data digitally can help tame information overload and ensure that all your information is safe, accessible and easy to find whenever you need it.